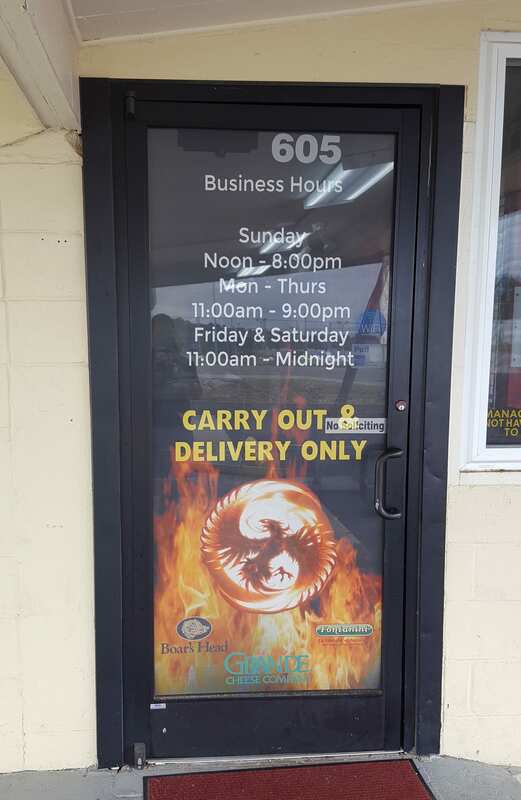 Above are the perforated window decals that Michael purchased for Rising Phoenix Pizzeria. I’ve been cooking since I could push a chair to the stove. I was taught early on from three of the most amazing women that I’ll ever know. My grandma (Nona), my great grandma and my mama; all of which helped shape my love for food. From classic, everyday Italian treats to deep rooted Southern specialties, I was taught to make them from scratch and with love every single time. That was the big secret to cooking in my house. When you cook with love everyone can feel it and that is something that I continue to this day. This is why I went to culinary school to become a chef. Cooking with love is definitely the secret to the most delicious meals. However, how can you keep that up on the most stressful of days? Every day is a stressful day lol. But I come in early in the morning to get some things started before my prep crew arrives, go home and take a nap through lunch time and then come back before the dinner rush starts and load up my playlist on iHeart radio (mix of 80s, 90s and Comedy Caravan) to power through the rush. When and which Culinary Art School did you attend? Is there a specific reason you chose that one? I went to Arizona State University in 2003. Hailing from Buffalo, NY, the only specific reason was to get away from the “feet of snow” and to experience the “dry heat”—lesson learned on that one. 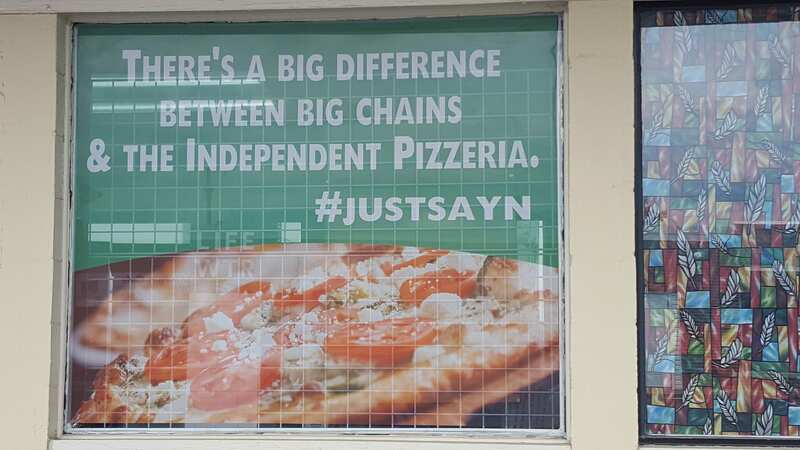 What does Rising Phoenix Pizzeria do? We at Rising Phoenix Pizzeria show the community what “REAL FOOD” is supposed to taste like when they go outside of their own kitchen. We use only the freshest, locally sourced ingredients we can get our hands on. We are the only certified Kentucky Proud Farm to Table restaurant in Central Kentucky. We are also the only restaurant in the county that is owned and operated by a trained chef. We also help local “Starving Artists” by showcasing their artwork of various designs in our restaurant. Since there is a big need for art venues in the area, we decided years ago to become that venue and it’s been a hit ever since. How were you able to achieve being the only certified Kentucky Proud Farm to Table restaurant? Did you have a connection to make it happen? This designation is only given to a restaurant owned and operated by CEC – a certified executive chef (at least 7 years ago when it first started, but the rules have since changed). I love that you’re helping artists. What specifically inspired you to do that for them? My husband is an amateur painter and his biggest complaint was the lack of places to show artwork from local artists—so I fixed that problem. Ten years ago I started my first restaurant in a small town not too far from our current location. It was a classic Italian seated restaurant, a one of a kind for the area. So over time pizza just kept taking up more space on the menu and soon it pretty much had a whole page and a half. That’s when I decided to flip concepts with pizza being the primary and Italian becoming the secondary. Me. I set myself apart from my competition by doing what I do and doing it well. Where else in Central Kentucky can you go to watch the dough used for your pizza be made in front of you or watch the pasta you just ordered taken off the drying rack, cooked up and then added to your favorite sauce, all while you watch? Not anywhere but here! Word of mouth is ALWAYS the best method. Now that we’re in the age of social media and Yelp reviews, word of mouth is quick and easy. Have you had much affect on those outlets? I also noticed you didn’t list an Instagram, do you not care for it? LOL, oh no, those sites don’t do much in this area and Facebook is prevalent by the majority, so I stick with that. One hard lesson I learned years ago was that Kentucky is 7-10 years behind the power curve on everything, so what is new and exciting in the rest of the country right now is a foreign concept here. We continuously struggle with gaining new customers and of course it’s critical to future success, but it’s just something we deal with. We’re told every day by new customers that we are their go-to pizza joint and they’ll never go to the big boys again. But as much as we try to gain exposure further outside of our community, it seems like the big boys begin to take notice and throw out some new deal just to gain back what was lost. We don’t compete with the big guys. That’s just a lost cause in attempting to do so. One of the biggest challenges I continuously face is staffing. The current lack of available workforce is very hard to overcome. You mention “lack of available workforce.” Is it because there’s a certain type of employee you’re looking for? If so, what traits and skills must they possess? And in return do you offer any incentives or perks as an employee of Rising Phoenix Pizzeria? I look for people that are kind of quirky and have a little sass. If they possess that then they’ll pretty much fit in here. I look for a people person, fast thinker, basic math skills and a general knowledge of the area without the use of GPS. Perks are easy here. Free employee meals and fountain drinks while on the clock, company paid AFLAC Accidental Insurance, paid days off for going above and beyond the call of duty and sometimes I hide money around just to see if things are getting done like I ask. So someone could find $20 just for rotating pizza boxes or $50 for pulling out a mini fridge to clean behind it. You just never know. Honestly I’m not sure. I don’t think I would. Because mistakes are something I learned from but not everything is a true mistake. It may seem that way at the time but it’s only because it’s a lesson to be learned for later on. My advice would be to continuously be a part of your business, always stop in to let your staff know that you’re available and get to know your staff and their families because they will do more for you if they know that you actually care about them. Even though I don’t work in my business as much as I did in the beginning (because I get to work on it instead), I’m still here every day even if it’s just for an hour. Everyone knows that: yes – you are a business owner, yes – your plate is full, yes – you’re beyond busy running your business, Yes – you constantly have people coming at you at all hours of the day from all directions and yes – sometimes it seems like the world is coming down around you and there’s no light in sight. Above all, keep in mind that you MUST make time for yourself and your family! If not you’ll just drive yourself insane. How do you balance being a business owner and making time with family? Honestly it takes time to learn to balance but the first step is trusting the people that you have working for you, then start off by taking one full uninterrupted day off. I remember telling my staff, “You have everything you need to run this building for one day without me. Unless the building is on fire don’t call me.” Once your staff knows that you trust them and their judgment calls with certain things, your job will begin to get easier and you can start taking more time off to enjoy life. Simply put we show them what we do and how we do it. We treat every customer like family, we know them by name, we know their likes and dislikes and we go that extra special step in making sure they are taken care of. Now I’m not saying that we’re perfect because we’re not. Treating them like they matter (because they do), instead of treating them like a dollar bill will get you a lot further when mistakes do happen. Continued success but beyond that only the Pizza Gods know. We are actively looking for location Nos. 2 and 3. It will continue because of our living business model, employee morale and overall atmosphere. How are you planning on making sure that the atmosphere, quality, employee morale, etc., stays the same as the original location? That’s a concern of mine as well but what I’ve learned is that if you spend some time in a certain area, you’ll begin to get a feel of the area and the local demographic. When scouting for a possible location I just go and people watch, place myself in the middle of the local culture, kind of feel it out. But most of all I listen to my gut instinct. Editor’s Note: We’d like to thank Michael for taking the time to educate us on the art of pizza making and running a successful small business. Growing Rising Phoenix Pizzeria in a smaller market has helped Michael understand the importance of catering to the culture of the community, rather than having a cookie-cutter business model. Doing so has helped his company become a staple in town. Training the staff to operate without his constant involvement has given Michael a hands-off approach to ownership. This allows a smooth operation while creating a positive work environment for employees to learn and grow in. Of course, occasionally checking in on the restaurant’s day-to-day operation helps to keep employees on their toes. Employee personality and a family-friendly environment has contributed to the success of Rising Phoenix Pizzeria. We wish Michael the best of luck in future endeavors, especially with the plans to expand the business!